United States Senator Steve Daines (R-MT) is on a mission. His mission is to do whatever it takes to get the Gateway Pacific Terminal (GPT), a 48 million metric-ton-per-year coal export terminal, permitted and built. 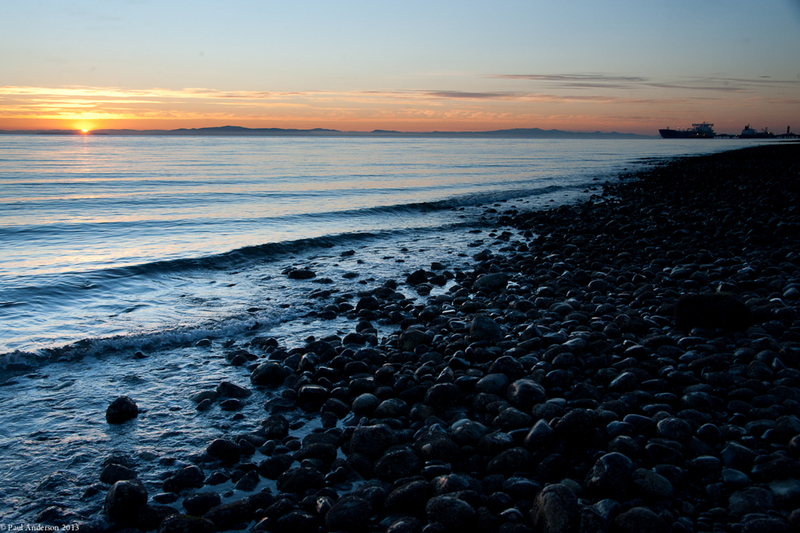 The GPT project is proposed in Whatcom County, Washington, and would be sited at Xwe’chi’eXen (Cherry Point), along the shoreline, which is part of the Lummi Nation’s traditional fishing area. The company proposing GPT is Pacific International Terminals (PIT), a subsidiary created for the project by SSA Marine. Tens of thousands of people who steadfastly oppose GPT are standing in the way of Senator Daines, SSA Marine/PIT, and the coal companies like Cloud Peak Energy which have financial interests in seeing that GPT is built and operating. Also standing in the way is the Lummi Indian Tribe, a sovereign nation, standing tall in defense of its treaty rights. 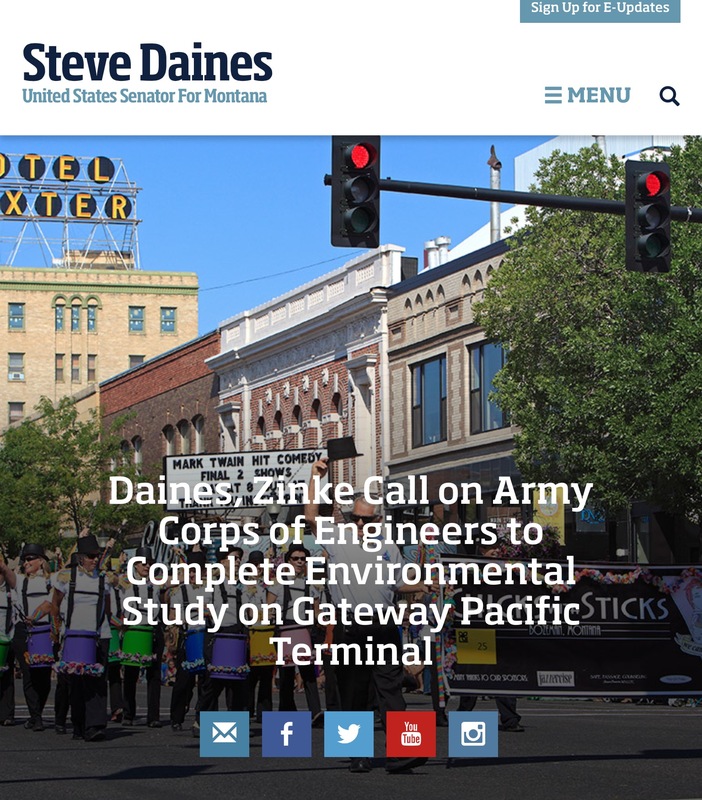 On July 30, the front page of the official website for Senator Daines featured a full-page announcement, linking to a press release about the senator and Congressman Ryan Zinke (R-MT), having led a group of sixteen senators and seventeen members of the House in sending two July 28, 2015 letters (one from the Senate and one from the House) to the U.S. Army Corps of Engineers. 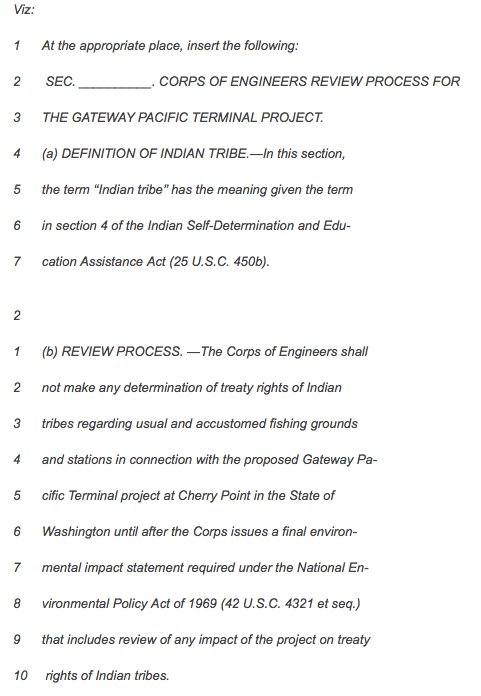 The letters urged U.S. Assistant Secretary of the Army Jo-Ellen Darcy, to complete the environmental review process for the proposed GPT project prior to the Corps making a determination whether impacts to any tribes’ U&A (usual and accustomed) treaty fishing rights are more than de minimis, or too small or trivial to warrant legal review. An August 3, 2015 Lummi Nation press release announced that Lummi Indian Business Council (LIBC) Chairman Tim Ballew II sent an August 3 letter to Senator Daines, cc’d to the thirty-two legislators who signed onto those letters, and the Senate Committee on Indian Affairs. In his letter, Ballew reminded them of the U.S. government’s obligation to protect and preserve the Lummi Nation’s treaty fishing rights. Before looking further into Senator Daines’ recent actions, some information relevant to these political maneuvers may be useful. In determining whether Lummi Nation’s treaty-guaranteed rights of access to its U&A fishing grounds and stations, and harvest of fish, would be adversely impacted by GPT, the Corps will be applying a de minimis threshold standard. Any impacts considered to be greater than de minimis by the Corps would warrant the GPT permit denial requested by the Lummi Nation. While the words, “U&A fishing rights” are used multiple times in the 2-page letter signed by the senators, the word “treaty” is used only once. Treaties are the supreme law of the land according to the U.S. Constitution. Perhaps the senators are hoping that by such limited usage of the word “treaty” in their letter, the impact of the Treaty of Point Elliot might be de minimis on the coal export terminal project they so wish for. However, the fact that the Corps “owes the highest fiduciary duty to protect Indian contract rights as embodied by treaties” is entrenched in case law. That solemn duty and obligation owed to the Lummi Nation (in this case in relation to the GPT project) by the U.S. federal government is something the agency takes extremely seriously, and addresses separately from any Environmental Impact Statement (EIS) the Corps is tasked with on proposed projects. The Lummi have usual and accustomed fishing grounds scattered throughout the San Juan Islands and on the mainland of Whatcom County up to the Canadian border. Not only were our (fishing) village sites located throughout the territory, but the associated burial grounds are located at these sites, as well. Among the most important of these cultural landscapes is Xwe’chi’eXen (Cherry Point). Xwe’chi’eXen (Cherry Point) was an important village site for our ancestors. This 3,500 year-old village site was where our inland relations travelled by canoe to visit their relatives’ villages to the north on the British Columbia mainland and to the west on Vancouver Island. There are nine Lummi kinship groups affiliated with Cherry Point. If we take those names as a starting point, 60 percent of modern-day Lummi have direct ancestral ties to Cherry Point. Their ancestors lived there for 175 generations and it is a final resting place of many of these ancestors. So, what are the parties who desperately need and want a coal export terminal at Cherry Point to do about the Lummi Nation’s unequivocal opposition to the project and its request to the Corps for a GPT permit denial? Senator Daines, coal companies and their advocacy groups, and GPT proponents along with their advocacy groups, catapulted the Crow Nation and the possibility that Cloud Peak Energy might eventually mine coal on Crow Reservation land, front and center of the campaign for the proposed GPT, and what is in effect, a campaign against Lummi treaty rights. The Crow Nation is located in Crow County around the base of the Big Horn Mountains, in Montana, and its tribal headquarters are located at Crow Agency, Montana. 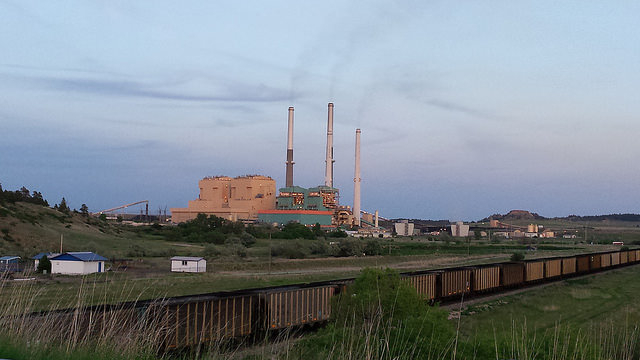 It is estimated that beneath Crow reservation land, lies 1.4 billion tons of coal. The public relations campaign bringing the Crow to the forefront arose noticeably in February 2015, after the Lummi Nation’s January 5 letter to the Corps. In response, the Crow Nation sent a January 20, 2015 letter to the Corps, expressing concern about the Lummi Nation’s request that the Corps take immediate action to deny the GPT permit. 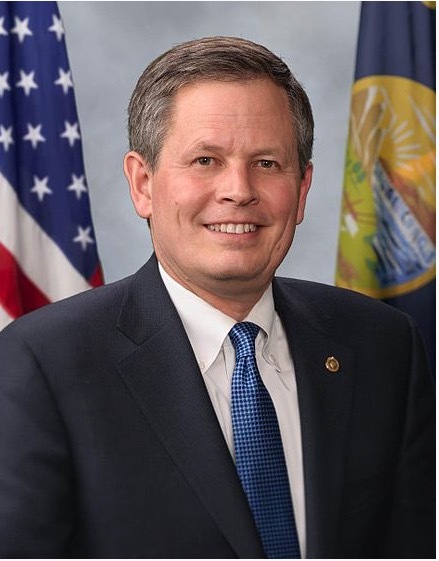 It’s no surprise that Senator Daines is willing to be Montana coal industry’s point person on the proposed GPT project, because according to opensecrets.org, in 2014, Daines received over $50,000 in total campaign donations from the following contributors connected to the GPT project: Cloud Peak Energy which plans to ship 16 million tons of coal yearly through GPT; BNSF railroad that would transport the coal from the Powder River Basin to GPT; SSA Marine which wants to build and operate GPT; FRS Capital Corp. which is the parent company of Carrix, Inc. (Carrix is the parent company of SSA Marine); Peabody Energy which plans to ship 24 million tons of its coal yearly through GPT; Boich Companies (part owner of Global Coal Sales Group which contributed $50,000 to the pro-GPT funded SAVEWhatcom PAC during the 2013 Whatcom County elections); and the National Mining Association which is an active advocate for the coal industry. It’s also not surprising that according to opensecrets.org, the legislators who signed onto the July 28 letters to the Army Corps, altogether, received over $400,000 in contributions in 2014, from the following GPT-related interests: SSA Marine, FRS Capital Corp., BNSF, Cloud Peak Energy, Peabody Energy, and the National Mining Association. Cloud Peak Energy, one of the largest coal producers in the U.S., had secured a throughput option agreement with SSA Marine in February 2013, that provides Cloud Peak Energy with an option for up to 17.6 million short tons of capacity per year through the proposed GPT. One month earlier, on January 24, 2013, a signing ceremony had been held in Crow Agency, at which Crow Nation Chairman Darrin Old Coyote and Cloud Peak CEO Colin Marshall, signed an Exploration Agreement and an Option to Lease Agreement for the potential development of an estimated 1.4 billion tons of in-place coal (coal physically present in a zone regardless of any consideration on what is recoverable or not). These coal resources are located on the Crow Indian Reservation, in southeast Montana. Based on any information that is presently available, there is no guarantee that Cloud Peak would even exercise any or all of its lease options with the Crow Nation. So, back to Senator Daines and his mission. According to the August 3 Lummi Nation press release previously mentioned in this article, it turns out that the two July 28 letters sent to the Corps by the thirty-two legislators came after three failed attempts by Senator Daines to attach a specifically crafted amendment to various pieces of unrelated legislation. The amendments were designed to try to prohibit the Army Corps from making its determination regarding the Lummi Nation’s treaty fishing rights relating to the proposed GPT, before the final Environmental Impact Statement (EIS) would be completed for the project. One of those amendments, Senate Amendment (S.A.) 1809, was proposed by Senator Daines on June 8. It was an amendment to Senator John McCain’s (R-AZ) Senate Amendment (SA 1463) attached to a piece of unrelated legislation, the National Defense Authorization Act (H.R. 1735) for fiscal year 2016. Senator Daines’ S.A. 1809 never received debate as it was withdrawn, so it did not move forward to a vote. This writer contacted Senator Daines’ Communications Director, his Press Secretary, and his Chief of Staff multiple times via email and phone over a period of two weeks in July, asking for responses to several questions relating to S.A. 1809. There were no responses to any of those requests nor were those communications ever acknowledged. Another example of Senator Daines’ attack on Lummi treaty rights demonstrating his overzealous support of GPT, was cited in LIBC Chairman Tim Ballew’s August 3 letter to the senator. His letter included a copy of the language that Senator Daines apparently tried to insert as a proposed amendment to yet another piece of unrelated legislation (H.R. 22), to the section in that bill that pertains to the Internal Revenue Code, addressing Affordable Care Act employer mandates. The amendment text was the same language as was proposed in S.A. 1809. Senator Daines has repeatedly sought to interfere in the Army Corps’ regulatory review process by seeking to attach legislative amendments to various bills moving through Congress. 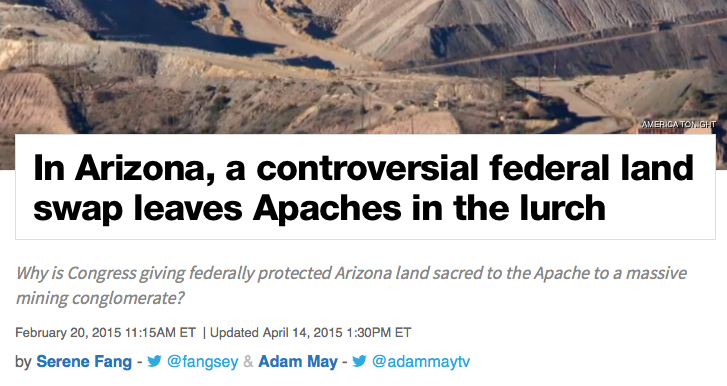 It’s unconscionable that, as a member of the Senate Indian Affairs Committee, he chooses to ignore treaty rights. He has repeatedly tried to diminish the rights of the Lummi Nation using “middle-of-the-night” stealth legislative tactics that have prevented stakeholders from weighing in. Senator Daines and his allies in Congress should respect existing law and allow the Army Corps to do its job without political interference. It is disturbing that Senator Daines, a member of the Senate Committee on Indian Affairs would orchestrate such an effort against the treaty rights of the Lummi Nation, and it is also disturbing that Senator John Barasso (R-WY), Chairman of that same committee, was a signer on the July 28 letter from the senators to the Corps. Amendments are often attached to unrelated bills, but riders that undermine treaties and sacred sites are particularly egregious. 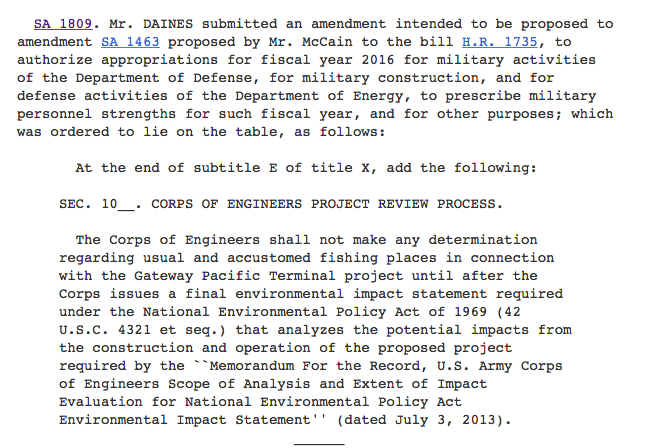 In December 2014, Senator McCain successfully buried an amendment he attached to the 1600-page 2015 National Defense Authorization Act (H.R. 4435). The NDAA is considered must-pass legislation that Congress moves yearly. It was used as a vehicle by McCain to pass a morally suspect public lands exchange package involving land at Oak Flat, in Eastern Arizona, disregarding the treaty rights of the San Carlos Apache and other nearby tribes. The “midnight” rider which ignored and diminished treaty rights of the Apache that Senator McCain managed to successfully sneak through in 2014, and the recent, repeated legislative attempts by Senator Daines to trample the treaty rights of the Lummi Nation, illustrate the serious harm that can befall the Lummi Nation every single day that passes before the Army Corps makes its determination whether impacts from GPT to the tribe’s treaty rights are greater than de minimis. The benefit of hindsight could cause one to wonder when SSA Marine/PIT asked the Corps in May for more time before making its determination on the permit for GPT relating specifically to Lummi treaty fishing rights, whether the company was aware of Senator Daines’ plan to get legislation passed that would prohibit the Corps from making any determination regarding usual and accustomed fishing places relating to the GPT project until after the Corps has issued a final Environmental Impact Statement. One thing is evident. The treaty rights of the Lummi Nation are under attack, and their Nation has had to expend untold efforts to defend those rights secured to them in 1855 by the United States. Every day that passes as the Army Corps is making its decision on the fate of the GPT permit, is another opportunity for coal-backed legislators such as Senator Daines to craft legislation aimed at diminishing Lummi Nation’s treaty rights. Reasonable persons would conclude that despite Mr. Sahlin’s claim to the contrary, harm has been done to the Lummi Nation each day that has passed since February 2011, when SSA Marine/PIT first submitted the application for its proposed GPT project to Whatcom County’s planning department. Stop this project. Indian rights most not be lost.